Booth QA10. September 26-29, 2018 in Monte Carlo under the high patronage of His Serene Highness Prince Albert II of Monaco. ART UpClose. Thrilled to be discussing the Lebanese art scene at « Arts et politique culturelle dans le sud méditerranéen. Consistance et consolidation d’une demande sociale ». A Study Day animated by Célia Hassani, Catherine Miller, and Gilles Suzanne. Aix-Marseille Université - France. 8 November 2017. Ricardo Mbarkho represents Alba at the Summer Seminar of ANdEA at Strasbourg where the subject is the international mobility and the exchange between art schools. The digital images of Ricardo Mbarkho will be exhibited at Monaco Yacht Show (MYS). The show will take place on September 27-30, 2017 in Monte Carlo under the high patronage of His Serene Highness Prince Albert II of Monaco. Booth: ART UpCLOSE - Starboard Pavilion. The digital images of Ricardo Mbarkho: http://www.artupclose.com/ricardo-mbarkho will be exhibited at Spectrum Miami art show during Art Basel in Miami Beach (booth #417, ART UpCLOSE). [Nov. 30 - Dec 4, 2016]. 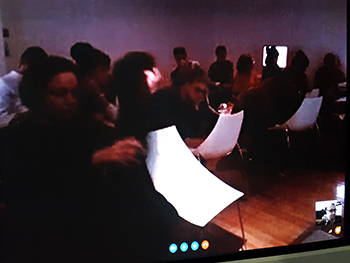 Actamedia 12 - Colloque multidisciplinare of Processus Écriturales "Le Projet Méta-auctorat" performed by Colabor Research Center of Digital Languages University of São Paulo, on 11, 12, 13 and October 14, 2016 in partnership with the Institut des hautes études in arts plastiques / IHEAPand Maison du Brésil - Paris - France. 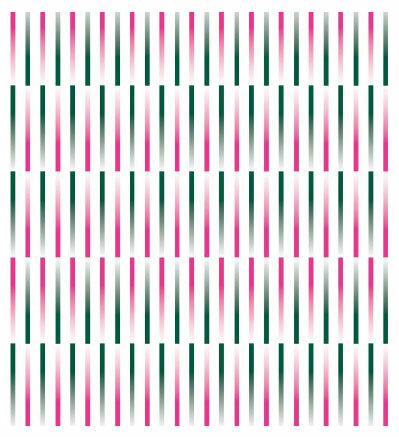 This artwork, that will be exhibited at MAT, is a digital image based on the Cairo agreement signed by the Lebanese State in November 3, 1969. In order to obtain this image, the artist uses the capacity of the computer to render the file containing the text of this agreement as if it was image file. The computer calculated the binary code of the text file and generated the corresponding image. Public Exhibition: Saturday 18 June, from 11am to 11pm, and Sunday 19 June 19, from 11am to 1pm. 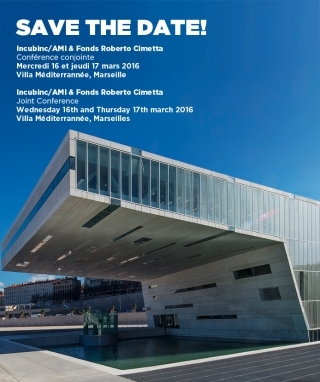 On the 16th and 17th March 2016, A.M.I and the Roberto Cimetta Fund are organising a joint conference in partnership with the Villa Méditerranée in Marseille and with the support of the Region Provence-Alpes Côte d’Azur. Ricardo Mbarkho's lecture is on March 17th, 2016, at 10:10 am, about socioeconomic models of creativity, and democracy. 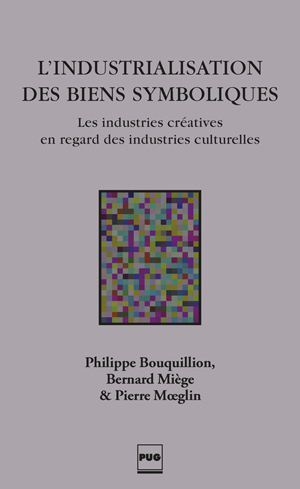 “Pour une double définition des relations entre création médiatique et industries culturelles”, in Al Hikma journal, 3rd period, Eighth year, Number 14. October 2015. Lebanon. Image "courtesy" de Iheap New York. The online Website "Granding the Lebanese Constitution" (www.ricardombarkho.com/dastooronline/) by Ricardo Mbarkho is mentioned in this new book. "Positive Lebanon est un hommage à la société civile libanaise, un pied-de-nez aux clichés et un merveilleux révélateur d’un Liban positif, dynamique et créatif. 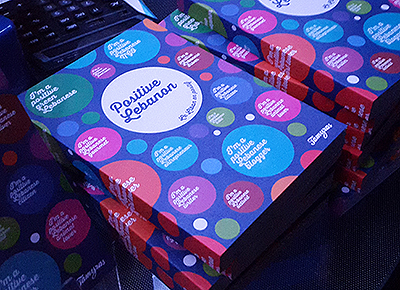 Destinés à ceux qui connaissent le Liban de près ou de loin, les presque 400 pages de Positive Lebanon sont dédiées à des ONG, associations, artistes et auteurs qui voient le Liban en positif." 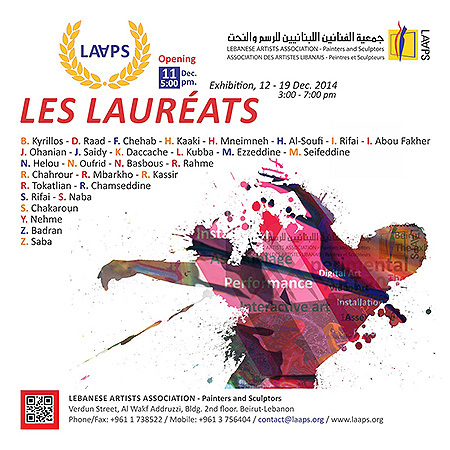 Participation of Ricardo Mbarkho at the Journée des écoles Supérieures d'Art de Provence-Alpes-Côte-d'Azur et Monaco, on next November 29 at la Villa Méditerranée, Marseille, to represent the Visual Arts school of the Académie Libanaise des Beaux-Arts (Alba) - University of Balamand - Beirut, Lebanon. Next lecture: "Enjeux de l'art numérique : Histoire et nouvelle esthétique"
"Claudine Dussolier, Abdo Nawar and Ricardo Mbarkho tell us about their upcoming book and about the RAMI Platform (Rencontres Arts et Multimédia Internationales) that develops since decade exchange projects on the international level in North Africa and in the med rim"
"Creative Disturbance is an international, multilingual platform that provides a unique virtual environment for the intellectually curious across the globe to meet, network, collaborate, create, and socialize." The Exhibition will be moved to the Faculty of Architecture and Design - Al-Manar University of Tripoli. Al-Manar Boulevard, Abou Samra. Monday June 2, 2014 at 6pm, and 3-4 June 2014. "Grading the Lebanese Constitution" exhibited at the Sunflower. From 3 to 5 March 2014. Opening March 3, 2014 at 8pm. "Grading the Lebanese Constitution" is a web based project where people can make anonymous grading for any and every article of the actual Lebanese Constitution. An Overall Average Grade is constantly displayed and updated. This grading centered project with its mass evaluation process implies different ways of reading the numbers and graphs of all the statistical results. It's a work that deals with data interpretation to offer multiple analysis levels relative to our emotional and rational attitude toward the Constitution. By Bernard Mi�ge, Philippe Bouquillion and Moeglin Pierre. Ed. PUG (Presses Universitaires de Grenoble). 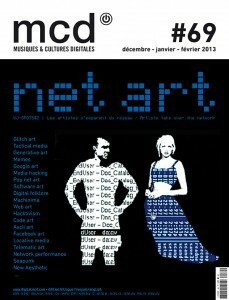 MCD#69 | NET ART � WJ-SPOTS #2 : LES ARTISTES S�EMPARENT DU R�SEAUX / ARTISTS TAKE OVER THE NETWORK. "At the crossroads of visual art, video art, the performing arts and the arts in public space"
- Presentation the Medialab experience at AltCity followed by a discussion. - Discussion on the development of digital art in Lebanon and the types of projects that exist in universities and other spaces. 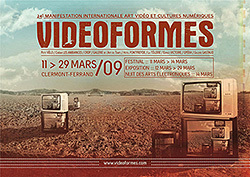 - Video art 50 years after its existence. Claire Duport et Ricardo Mbarkho proposent une r�flexion et un travail de d�finition de l�art politique, et des liens entre art et politique; � partir de notions th�oriques et d'une analyse d'�uvres num�riques, seront interrog�s la port�e esth�tique et �thique de l'art politique. A travers la pens�e de Bruno Latour pour Claire Duport, et � travers son �uvre num�rique pour Ricardo Mbarkho, un �change d�id�es critiques aura lieu entre les deux intervenants, suivi d�une discussion avec les �tudiants dans le contexte de plusieurs universit�s. Pour la premi�re fois cette ann�e, les Rencontres d�Averro�s fran�aises trouvent un prolongement au Liban, � l�initiative de Shams, en collaboration avec l�Institut Fran�ais de Beyrouth, Zinc, les Instants Vid�o, Espaceculture et la r�gion PACA. 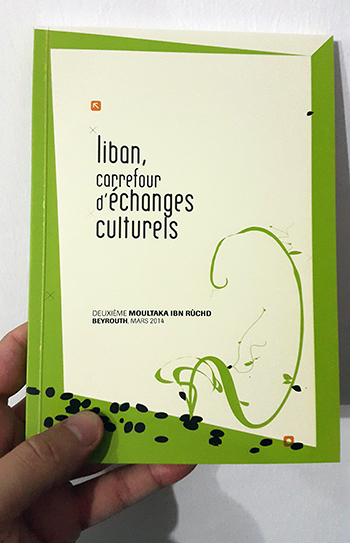 Ces deux tables rondes qui se tiendront fin octobre constituent un pr�lude � la cr�ation des � Multaka Ibn Rochd �, �dition libanaise des Rencontres d�Averro�s orient�e sur les probl�matiques artistiques et culturelles qui traversent le monde m�diterran�en. Le th�me � Culture de la r�volution, r�volution des cultures � sera d�clin� lors de deux tables rondes. Dans un monde arabe agit�, boulevers� voire �croul�, les d�bats �voqueront les changements sociopolitiques et culturels en place dans le monde arabes et seront diffus�s sous forme audio/vid�o sur le site des Rencontres d�Averro�s et SHAMS. 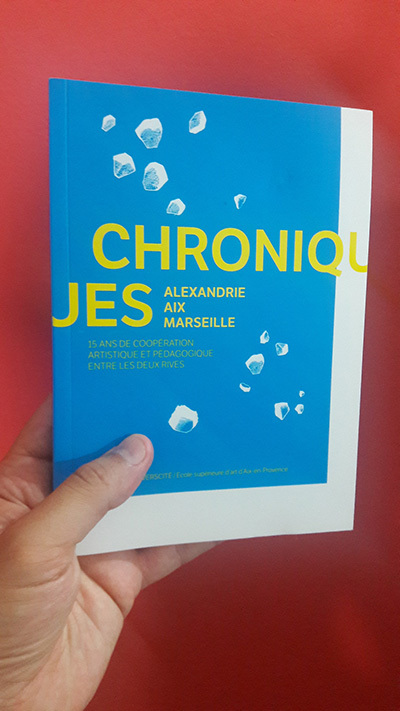 Ils feront �cho � la deuxi�me table ronde des Rencontres de Marseille � Entre renaissance citoyenne et transparence politique, r�volution num�rique ou contr�le des libert�s �. 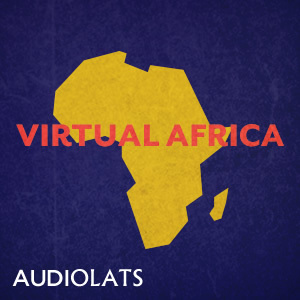 La premi�re table ronde �voquera le recours aux technologies de la communication et de l�information dans tous les domaines, et singuli�rement dans la culture, impliquant � la fois les artistes et les citoyens pour vivre la soci�t� 2.0, la subir ou l�inventer. La deuxi�me table reviendra sur le printemps arabe - r�volution et culture : une r�volution culturelle ou une culture de r�volutions � sous des angles scientifiques et artistiques. Nicolas Dot-Pouillard, Chercheur MAEE en sciences politiques � l'Institut fran�ais du Proche-Orient (IFPO). The online artwork CONNECTED is analyzed in the new book by Prof. Mario Costa "Ontology of the media". The book will be available in bookstores, in Milan already next week and later in the rest of Italy. "Grading the Lebanese Constitution" is a web based project by Ricardo Mbarkho where people can make anonymous grading for any and every article of the actual Lebanese Constitution. An Overall Average Grade is constantly displayed and updated. This grading centered project with its mass evaluation process implies different ways of reading the numbers and graphs of all the statistical results. It's a work that deals with data interpretation to offer multiple analysis levels relative to our emotional and rational attitude toward the Constitution. 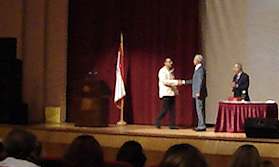 Official ceremony of the prize. 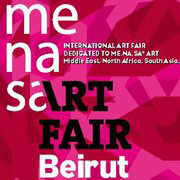 MENASART FAIR at BIEL, Downtown - Beirut. Since 2001, a yearly national day, celebrated the first Saturday of the month of July (this year the 2nd of July 2011), is dedicated to TABBOULEH. During this day, Lebanese and their friends everywhere in the world meet in private or in public around this king of the mezz�. This year, a big public gathering is organized at Souk el Tayeb that will take place in the Parking of the Beirut Exhibition Center at BIEL (Downtown - Beirut), where there will be public savoring and competitions of the best TABBOULEH from 10:30 am to 11:30 am (www.soukeltayeb.com). Conferences on the history and the future of the Internet. 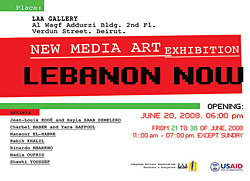 In this text, I comments on how globalization and new media have fostered change and creative pursuits in Lebanon from 2008-2011. Click on the picture to activate the link. Today I opened the new online project 'Grading the Lebanese Constitution', that is a web based project where people can make anonymous grading for any and every article of the actual Lebanese Constitution. An Overall Average Grade is constantly displayed and updated. This grading centered project with its mass evaluation process implies different ways of reading the numbers and graphs of all the statistical results. It's a work that deals with data interpretation to offer multiple analysis levels relative to our emotional and rational attitude toward the Constitution. 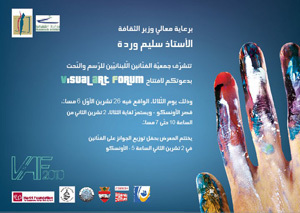 The Prize of the Lebanese Ministry of Culture for the Contemporary Arts in the Visual Art Forum 2010, went to me :-) for the digital artwork: "Digital Visuals from Lebanon"
The 17th Biennale de Paris is taking place where things are occurring. Foundation around the project "Reinventing the terminology of art". that art is being transformed. This is why an update has become essential. the foundations of a new art terminology. Subject : "Terminology and real"
Subject : "Art agent & non-artistic art"
Subject. : "Art by terminology"
Subject : "Data Cities / Meta-environments"
Subject : "To operate in real"
art terminology will be shared. you want to get rid of!" Artist, Director of the School of Fine arts, Florence. Artiste runner, teacher Academie de Versailles. 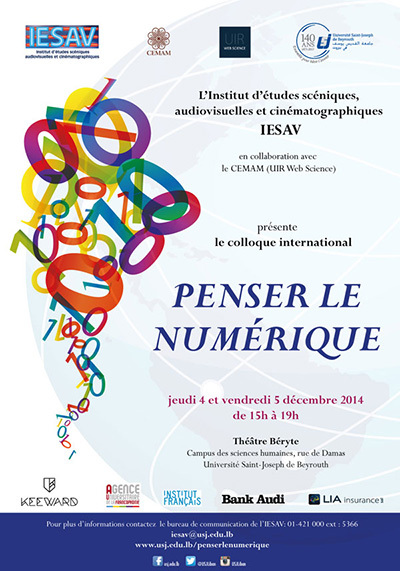 "Imbalanced Echoeing : Accidental private feedback"
University of Technology, French Cultural Center in Cyprus. TURBULENCES VID�O #69. Portrait d�artiste : Ricardo Mbarkho. at the Espace Niemeyer, Communist Party Bldg., 2 Place du Colonel Fabien, Paris. Art and Sciences in the Mediterranean Rim. Which inter-cultural situation? At the MMSH in Aix-en-Provence, France. 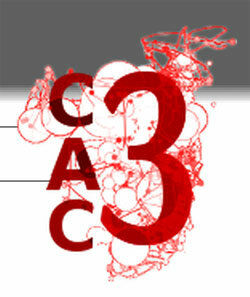 Workshop open for artists, scientists, researchers and students. Free entrance upon registration - around 70 people. Ricardo Mbarkho (Representing the YASMIN network in Lebanon) and Claudine Dussolier (RAMI/ZINC) will cover the subject: A PANORAMIC POSSIBLE VIEW relations between art and sciences in the Mediterranean region. The participation of Ricardo Mbarkho will be from Lebanon, via video. In 2001, I initiated a yearly national day, celebrated the first Saturday of the month of July (this year the 3-7-2010), is dedicated to TABBOULEH. The TABBOULEH is the most famous Lebanese traditional dish, adulated by all the inhabitants of the cedar�s country, and adopted by number of gastronomes in the world. It�s a dish that unites, in a country torn by wars and tensions; a symbolic dish by the diversity of its ingredients: Like the Lebanese nation, its delicate harmony is threatened anytime that one of its components is separated or even neglected, while its colors, green, white and red are those of the Lebanese flag. During this day, Lebanese and their friends everywhere in the world meet in private or in public around this king of the mezz�. This artistic, cultural, gastronomic and touristy feast presents them an opportunity to show and to reinforce their attachment to their country. This year, a big public gathering is organized at Souk el Tayeb in Saifi Village (downtown - Beirut), where savoring and competitions of the best TABBOULEH will take place (www.soukeltayeb.com). In 2007, the Lebanese Ministry of Tourism granted its approval and its patronage officially for the NATIONAL TABBOULEH DAY. 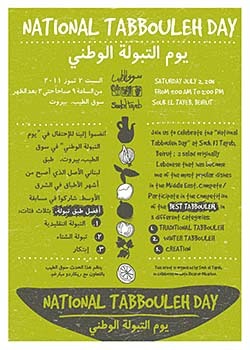 Let's celebrate all together the next NATIONAL TABBOULEH DAY that will take place on Saturday July 3, 2010. 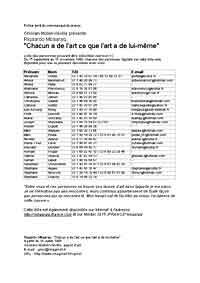 Since 1999, I've been spreading the contact information of many people who accept to be contacted by anyone informed about their availability. �Each one has from art what art has from itself � is the title of this art activity. 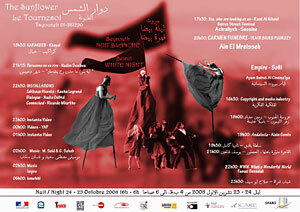 In April 28, 2010, a new list will be released in the frame of a collective exhibition at the LAA Gallery, Beirut. 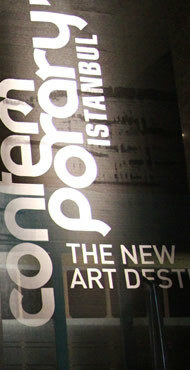 OPENING: APRIL 28, 2010, at 6H PM. 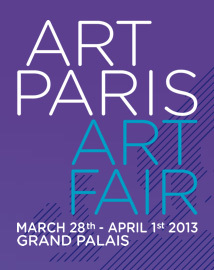 THE EXHIBITION CONTINUE TILL MAY 5, 2010, EACH DAY FROM 4H PM TO 7H30 PM. September 29, 2009. From 06:00 pm to 07:30 pm. Village des partenaires, Saifi, Beirut. September 28, 2009.At 07:15 pm. Village des partenaires, Saif, Beirut. by Ricardo Mbarkho. � June 2008. A series of 8 digital images, printed on photo papers, based on the numerous agreements signed by the Lebanese State since the independence of Lebanon. 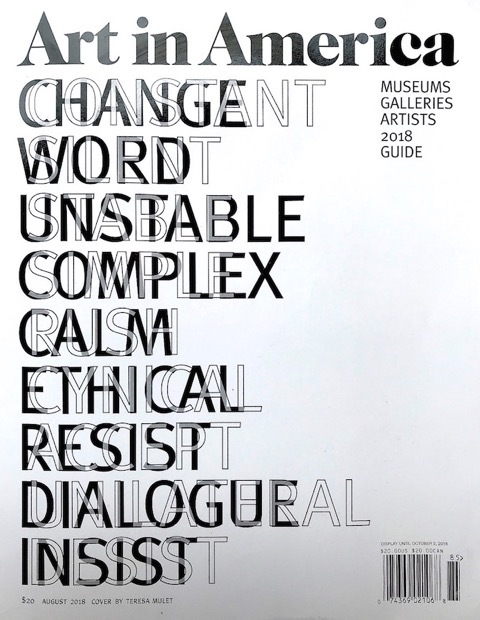 In order to obtain these images, the artist uses the capacity of the computer to render the files containing the texts of these agreements as if they were image files. The computer calculated the binary code of each text file and generated the corresponding image. The series will be exhibited at PIECE UNIQUE gallery, Saifi, Beirut Downtown, in the frame of CREA NUMERICA. 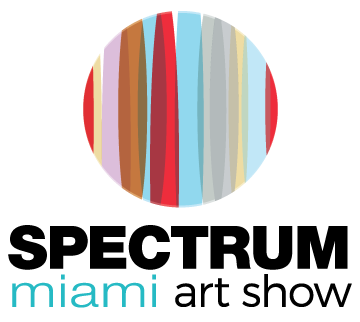 From September 28 to October 6, 2009. 11h am to 7 pm. As part of its activities as the Cultural Observatory of Middle East, ARTos Foundation is organizing the Exhibition �Beauty is the bEAST� in the wider framework of the exhibition �Windows Upon Oceans� which will be held in five European countries. On the part of Cyprus, the exhibition will be 3-scaled, presenting the art work of artists from the Middle East in Nicosia, Limassol and Madrid. The exhibition will include projections of video art, photography, performances and installations of artists who were located during ARTos� research trips to Lebanon and Egypt. The exhibition �Windows Upon Oceans� is the closing event of the three year European program Artventure in which take part, apart from Cyprus, Greece, France, Belgium and Poland. The main aim of the program is to identify new forms of artistic expression, to promote mobility of the artists, artworks and cultural operators by means of travelling exhibitions and screenings, residencies and artistic presentations throughout Europe. � 5 � 12 June 2009 Micro-Artos in Madrid (Solo exhibition of Ricardo Mbarkho, Curated by Ricardo Echevarria). This discussion deals with how (new) media can affect local behaviours related to creativity and innovation within a socio-political context, and what is the link between politic and the ways that users behave. We are interested in exploring how artistic and cultural expression in a given location can be affected by global networked systems, and the interactions with social systems and behaviours. The Intention behind artworks vs. new media as a device for being in touch, so for being creative. SMS strategies can affect politics and democracy, especially with programs based on mass voting via SMS; depending on the voting results, this social activity can challenge the community isolation versus the fear of dissolution into a more regional or global system. Politics uses (new) media when planning and imagining dozens of utopian models for the country; but media power is explored on the other hand by artists who reflect the absurdity of the politic. Virtual social networks maintain difficult relations caused by economical necessities that force families to disperse physically in order to seek living. 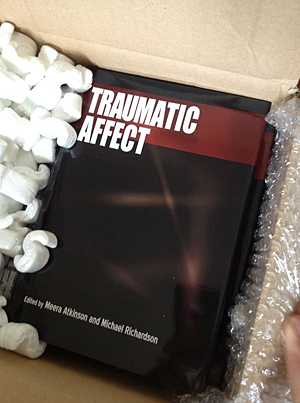 In this vibrant atmosphere, the identity and belonging convictions are often scrambled by the eclectic media content. - Is (new) media a tool which reinforces people's creativity and how it is expressed in terms of social behaviour? - How are democracy and social connectivity via new media related? - Are global and local systems two separate entities, or is it about one place? - What is the impact of the media content on identity in your socio-politic sphere? - How is the economy affecting visual forms of communication? - Do artworks emerge from a specific Intention or from media models constrained by business requirements? - What new roles do virtual social networks adopt to maintain difficult relations? Ricardo Mbarkho is an artist and lecturer. He was born in Beirut, Lebanon, in 1974. His works and lectures take part in many publications, media, and in education and art institutions and events in Lebanon and internationally. In his work, he often uses new media to tackle questions mainly related to human relations and belonging issues within the socio-political sphere. Ricardo Mbarkho received his Art Diplomas from Ecole Nationale Sup�rieure des Beaux-Arts and Ecole Sup�rieure d�Etudes Cin�matographiques, Paris, France and from Institut Sup�rieur des Beaux-Arts, Beirut. He also completed an exchange study program at Carnegie Mellon University, Pittsburgh, PA, USA. 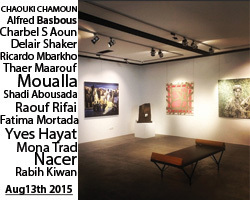 He teaches art, video, and new media at the Acad�mie Libanaise des Beaux-Arts, Beirut. Currently, he lives and works in Lebanon and France. Jordan Crandall (http://jordancrandall.com) is a media artist and theorist based in Los Angeles. 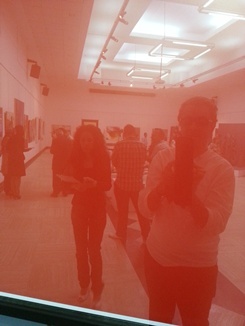 He is Associate Professor in the Visual Arts Department at University of California, San Diego. He is currently at work on a multi-platform media work entitled "Showing," which looks at ecologies of display and the construction of the self through stagings, arousals, extensions, and intimacies. He is also at work on a development of assemblage theory that focuses on network ecologies, emergent presencing, and the dynamics of desire. He is the founding editor of the new online journal Version (http://version.org). Born in Mexico City, 1972. Writer, teacher and programmer. His areas of interest include digital narratives and technology as a tool/medium for social research. His work (installation, performance, software, text and net.art) has been featured in different festivals and exhibitions around the world, and is available at www.motorhueso.net. He is the developer of zexe.net, a mobile communication project for groups in risk of exclusion, initiated by Antoni Abad. He worked as an Associate Researcher at Sony Computer Science Lab in Paris. Currently, he is a teacher and co-director of the Master in Digital Arts at the Pompeu Fabra University, Barcelona. (http://rami.lafriche.org/). In 2009, she started a new collaboration with yoox.com, a global internet retailing partner for the leading fashion and design brand as coordinator of special projects, multidisciplinary projects related to fashion, culture, design and art. 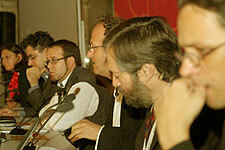 holding of the first World Conference on Arts Education �Building Creative Capacities for the 21st Century� (March 2006, Lisbon, Portugal). She leaded the DigiArts programme: UNESCO Knowledge Portal http://portal.unesco.org/digiarts, an initiative to promote ICT creative tools and e-Learning among people at school level. She has also published articles on African cinema, African contemporary arts and arts education in specialised magazines. 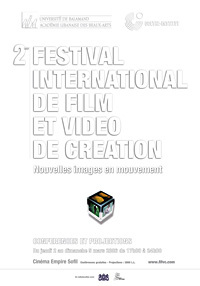 The video � Arameans � by Ricardo Mbarkho will be screened at the 16th edition of FIAV (Festival International d�Art Vid�o de Casablanca). 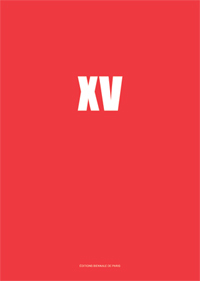 21 - 25 April, 2009. Facult� des Lettres et des Sciences Humaines. Ben M�Sik - Casablanca. 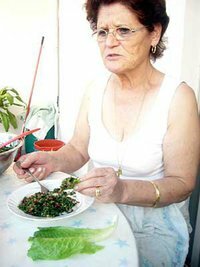 This video questions the mobility of the Arameans in the Lebanese social context; this is through the example of an Assyrian woman who has undergone one of the explosions in Beirut. Since they moved from Iraq, until their departure from Syria, are the Arameans who hold their language and their religion pursued again by terrorism in Lebanon? "FrancoLABS est une base de donn�es ayant pour objectif principal de recenser les r�sum�s de th�ses et de masters en langue fran�aise, d�j� soutenus et toutes disciplines confondues, dont le sujet se situe � l�intersection des arts, des sciences et des technologies." "Les r�sum�s propos�s sont �valu�s par un Comit� d�Evaluation qui valide leur s�lection et leur mise en ligne. Les r�sum�s ayant retenu particuli�rement l�attention des experts seront publi�s dans LEONARDO ou dans Leonardo Electronic Almanac - LEA . Vion-Dury Jean, Ma�tre de Conf�rences en Biophysique M�dicale, praticien hospitalier, chercheur � l�Institut des Neurosciences Cognitives de la M�diterran�e de Marseille (France)"
Exhibition: "Image : fixe, mobile, anim�e"
Place: Galery of the Centre Culturel Fran�ais - Beirut. Reine Abbas, Lisa Abdo, Ziad Abillama, Dina Abou Karam, Amandine Brenas, Charbel Chamoun, Hala Dabaji, Nayla Dabaji, Hiba Daroub, Gilbert El Hage, Ziad Feghali, Elsa Ghossoub, Kinda Hassan, Johanne Issa, Frederic Lezmi, Ricardo Mbarkho, Ghada Salem, Sarah Srage, Dona Timani. 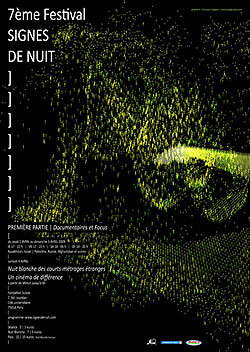 A selection by Dieter Wieczorek, Director of the International Festival Signes de Nuit (Paris). 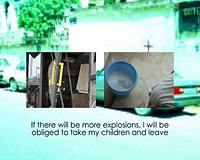 The video �Arameans� by Ricardo Mbarkho is now entirely available online on this site. In the frame of the "White Night"
This video questions the mobility of the Arameans; this is through the example of an Assyrian woman who has undergone one of the explosions in Beirut. Are the Arameans who hold their language and their religion pursued again by terrorism in Lebanon? "Arameans", video by Ricardo Mbarkho will be screened at LiteSide Festival. Westergasfabriek Amsterdam. This week at Al Hurra TV, Ricardo Mbarkho is invited to take part of the program "Very Close" (Karib Jeddan) run by Joseph Eisawi. 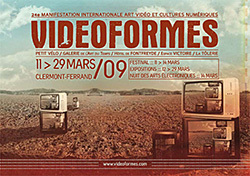 A special edition about video and installation arts. An hour-long interview with important cultural figures from the Middle East. Hosted by Joseph Eisawi. 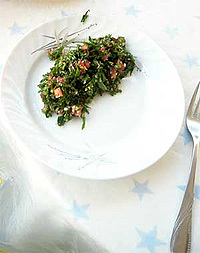 A yearly national day dedicated to Tabbouleh, celebrated the first Saturday of the month of July. This year, for the 8th year, it�s in the 5th of July 2008. 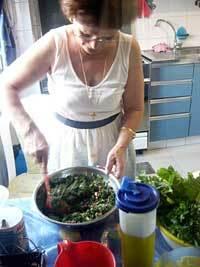 The Tabbouleh is the most famous Lebanese traditional dish, adulated by all the inhabitants of the cedar�s country, and adopted by number of gastronomes in the world. It�s a symbolic dish by the diversity of its ingredients: Like the Lebanese nation, its delicate harmony is threatened anytime that one of its components is separated or even neglected, while its colors, green, white and red are those of the Lebanese flag. During this day, Lebanese and their friends everywhere in the world meet in private or in public around this king of the mezz�. This artistic, cultural, gastronomic and touristy feast presents them an opportunity to show and to reinforce their attachment to their country. How? It is sufficient that each one eats the Tabbouleh while knowing that he or she is sharing it with all Lebanese people in the world and their friends! Let's celebrate all together the next NATIONAL DAY OF THE TABBOULEH! 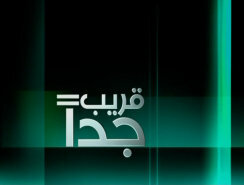 And on TV channels: TL, LBCI, OTV, Future TV and KSA 2. 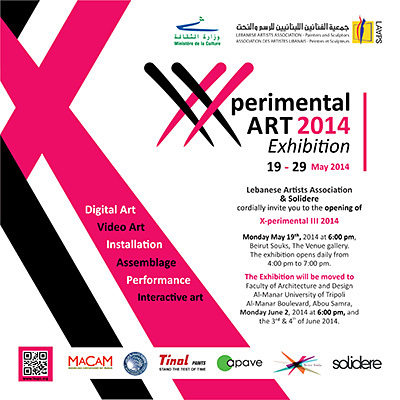 The Association of Lebanese Artists presents � Lebanon Now �, the art exhibition of the new media. Sponsored by USAID, this exhibition shows works done with the latest technological means. These works question Lebanon today, which is more disconcerting and intriguing than ever. The artists experiment with the binary code and look at Information and Communication Technology from a new perspective. 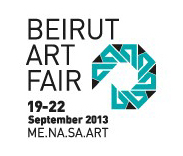 The artists � tell � their Lebanon through the elements of their numerical world, i.e. images, sound, and words. This event transposes the observer (turned into user) into a new aesthetical experiment. Ricardo Mbarkho presents � Digital visuals from Lebanon �, a series of digital images printed on large format photo papers based on the numerous agreements signed by the Lebanese State since the independence of Lebanon. 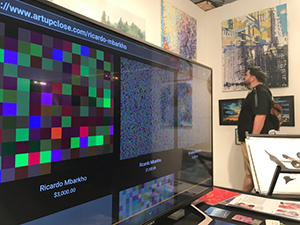 In order to obtain these images, the artist uses the capacity of the computer to render the files containing the texts of these agreements as if they were image files. The computer calculated the binary code of each text file and generated the corresponding image. 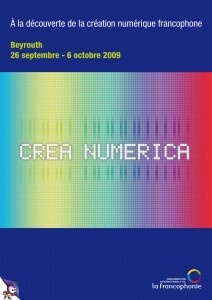 The series comprises images of binary codes of texts such as: the Doha agreement, the Taef accord, the Lebanon-Syria Treaty of Brotherhood, Cooperation and Coordination, the tripartite agreement, the Cairo agreement, the national pact, the Lebanese constitution, as well as the word � Lebanon � itself. 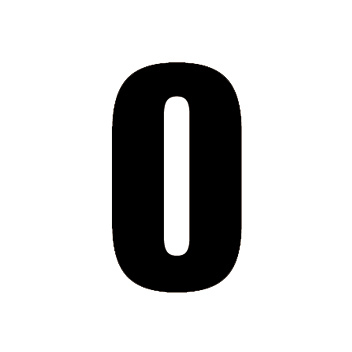 Robert Adrian X, Mark Amerika, Jean-Claude Anglade, Roy Ascott, Olivier Auber, Doug Back, Jean-Pierre Balpe, Stephan Baron, Maurice Benayoun, Joseph Beuys, Simon Biggs, St�phanie Boisset, Maurizio Bolognini, Nathalie Bookchin, Christophe Bruno, Heath Buntig, Gr�gory Chatonsky, Ferdinand Corte, Douglas Davis, Bernard Demiaux et Anna Rosa Richardson, Marc Denjean, Daniel Dewaele, Reynald Drouhin, Marc Em, Etoy.corporation, Fred Forest, Nicolas Frespech, Kit Galloway et Sherie Rabinowitz, Ken Goldberg, David Guez, �l�onore Hellio, GH Hovagymian, Jodi, Eduardo Kac, Natan Karczmar, Olga Kisseleva, Tom Klinkowstein, Sophie Lavaud, Christian Lavigne, Olia Lialina, Jean-Paul Longavesne, John Maeda, Judy Malloy, Ricardo Mbarkho, Laurent Mignonneau et Christa Sommerer, Bonnie Mitchell, Mouchette, Muntadas, Mark Napier, Joseph Nechvatal, Nam June Paik, Gilbertto Prado, Karen O�Rourke, Antoine Schmitt, Alexe� Shulgin, Norman White. will be screened at LOOP Festival Barcelona. 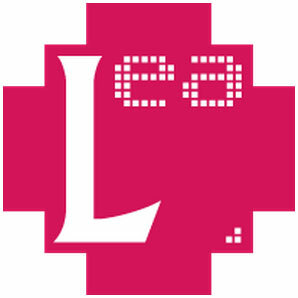 The sixth edition, LOOP�08 will open its doors from May 6th to 18th, 2008. In his lecture, Ricardo Mbarkho talks about today's media art scene in Beirut. He also shows a selection of videos where many approaches are tackled to question the identity crisis in today's Lebanese socio-political and cultural sphere. The war on Lebanon since 1975 remains a major concern for the multicultural Lebanese society. Today, Lebanon is witnessing one of its tensest political divisions, and failed to elect a president able to bridge the gap between the current government and the opposition. The impact between the Middle East conflict, the media system and art is raised by Mbarkho from the geographical and the historical angles. 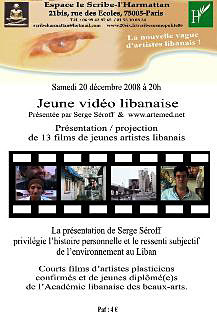 The video � Arameans � - Lebanon (2007), 3 min 36 sec � will be screened in the frame of the international festival Sarajevo Winter "Barricades without borders", Video-Salon 3 at the galerie10m2, Sarajevo. (te[at]transmediale[dot]de, +49 (0)30 24 749 775). 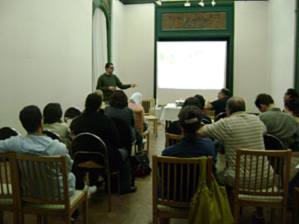 Ricardo Mbarkho talking about art and the digital tools at the Atelier of Alexandria, on November 24, 2007. 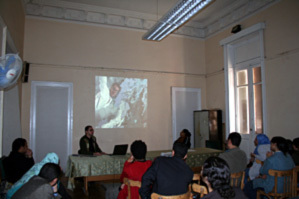 Ricardo Mbarkho talking about art and new media at the University of Alexandria, Fine Arts School, on November 25, 2007. 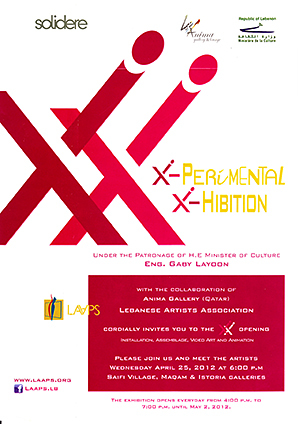 From 19 to 25 November 2007 in Atelier of Alexandria. Atelier of Alexandria: 6, Victor Bassili St,Shallalt In the frame of the XXIV th Biennale of Arts of Alexandria, ZINC/ECM, SHAMS, Studio AZZURRO, ATELIER d�Alexandrie, partners of RAMI invite you to: Encounters �Arts and multimedia relationships� stay on the Saturday 24 November from 2 to 9 pm in the ATELIER. A seminar with Ricardo Mbarkho, artist from Lebanon, researcher and teacher, member of Yasmin network, is organized in Alexandria University, on Sunday 25 November from 12 to 3 pm Event: Intermedia, an experimental concert from Cairo drived by Nahla Mattar and a performance from Lebanese Duo using live drawing and electronic music on Sunday evening November 25th at 8 pm in Bibliotheca Alexandrina small theatre During this week, from 5 to 10 pm the ATELIER of Alexandria is organizing in its place a �Cultural multimedia space� During one week, works will be shown, works in progress will be presented, open discussions about relationships between arts and new technologies and new needs, for artists and cultural actors and institutions. Short workshops will be done about: production, communication, free soft wares for arts and editing, editing video and artistic web sites� Focus: In the Atelier, Friday 23th from 4 to 7 pm, session around blog for artists Exhibition of the Table of Sharif El Sayed and Mohamed Youssef. From Monday 19 November to Sunday 25 November from 5 to 10 pm. 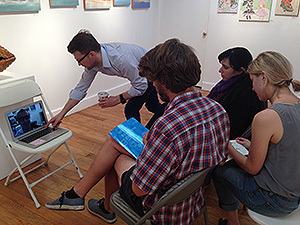 With this seminar, participants widen their knowledge, experiments and research in art using new media. They study and think the New Technologies of Information and Communication (Internet/Cyberspace, mobiles, satellites, digital networks, interactive games, etc.) with their impact on the artist�s social and political environment, and how this impact is or could be shaped in their projects. So what are the new possibilities to experiment with? How to collaborate with electronic engineers and scientists for this purpose? What are the new esthetics that were never possible before the invention of the virtual/cyberspace, of the interactivity, and of the digital network with the Internet? 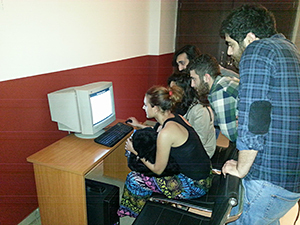 This seminar is theory and aesthetic oriented; a research laboratory in new media art is thus implemented in class. The aim is to cover a quick overview on the history of new media art in order to analyze art works and understand the judgment criterion for this new esthetic. The participants are constantly oriented to define and locate their positioning as artists operating in the new media field, within the global today�s art practices. 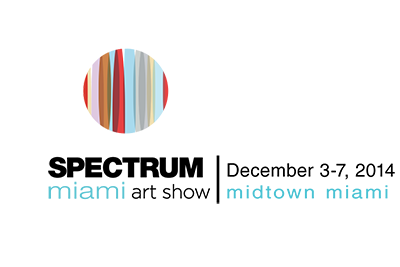 The RAMI project is an international platform for experimentation, exchange and circulation dedicated to contemporary creation, digital tools and multimedia in the Mediterranean. Developed by SHAMS-Beirut, ZINC/ECM-Marseilles, l'ATELIER of Alexandria and ASTAR-Milan between September 2006 and December 2007, the RAMI project is hold in 7 steps in Marseille, Aix, Beirut and Alexandria. In this step, three workshops, two research seminars, one technical unit and several "cartes blanches" will be animated by French, Italian, Lebanese and Egyptian artists. The call for participants' candidature is opened particularly in Lebanon and Egypt and, under budgetary consideration, for Jordan, Tunisia, Algeria and Syria. Deadline has been extended until the 2th of September 2007. Answers will be done around the 12 of September. Today, an article by Carla Henoud: "� vos taboul�s, pr�ts, partez !" See also the Editorial of the newspaper by Nagib Aoun: "Une question de go�t"
Today in "L'Orient - Le Jour"
The catalog of the XVth Biennale de Paris is released. It is distributed by Paris Mus�e. 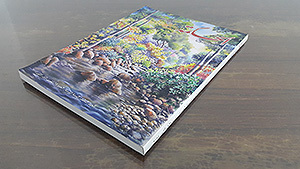 You can acquire it by contacting the organization committee of the Biennial - Tel. 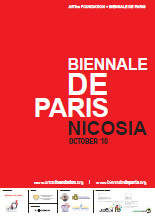 : 00 33 1 42294823 - E-mail: information@biennaledeparis.org - URL: http://www.biennaledeparis.org PS. The catalog includes the information about the "Lebanese National Tabbouleh Day" proposed by Ricardo Mbarkho. The video "More than normal" (Plus que normal) will be screened soon in D�sseldorf - Germany, in the frame of Signes de Nuit Festival. 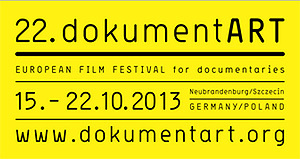 Address: Cinema Black Box Schulstr. 4 40213 D�sseldorf Germany Tel. 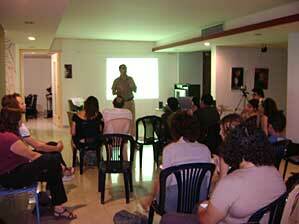 : 0211-8992490 Date: August 7, 2004 Time: 21:30 Cinema Black Box is associated to the D�sseldorf Film Museum. 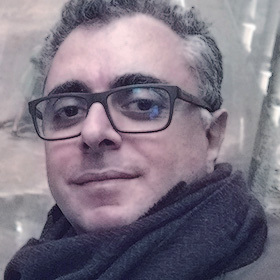 The 4th and the 5th of September 2004, Ricardo Mbarak will be in Linz (Austria) to participate to the workshop on the Creation of Art, Design and Technology Master Classes in the Arab States. This workshop is programmed by the UNESCO in the frame of the festival ARS ELECRONICA. This workshop will specifically look into the modalities to develop art, design and technology teaching in the Arab States in cooperation with the Mediterranean Rim at the university level. It aims at promoting international and intercultural dialogue, exchange and cooperation in this field, still relatively limited in this geographical and cultural area. This weekend you can find the new DVD of Ricardo Mbarak in the New Releases section at all Virgin Megastores in Lebanon. Soon in the market, a DVD that includes 2 videos by Ricardo Mbarak : GARE DE LYON - JUVISY France (1999), video, color, 52 min & PLUS QUE NORMAL (MORE THAN NORMAL) France (2002), video, color, 10 min 18 sec Keep yourselves informed about the release! The ALBA informed Ricardo Mbarak that due to the actual situation between Lebanon and Israel, the Lebanese Surete-Generale concidered the Invitation of Transmediale to him to participate at the Round Table as not possible and can't be done. In front of these no peaceful possibilities to attend the meeting, Ricardo Mbarak declined later the Invitation of Transmediale. Article by Evelyne ROGUE : "A la rencontre de l'Autre"
CONNECTED and VISITORS will be presented at Sousse, Tunisia from October 9 to October 15, 2003. ******************* JavaMuseum - Forum for Internet Technologies in Contemporary Art www.javamuseum.org (Java=Joint Advanced Virtual Affairs) is a corporate member of [NewMediaArtProjectNetwork] :||cologne - the experimental platform for net based art - operating from Cologne/Germany. ******************* Ricardo Mbarak's CONNECTED at JavaMuseum. 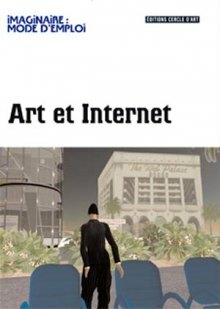 "Current Positions of French Netart"